Another day of Youth Devotional with fun, games, and spirituality. This week, after our songs and games, we had our youth draw out what the word “future” means to them. They were to use only red and black paint. At the end of their drawing, they were to explain the meaning of their art. In the bible lesson, Calvin, our youth leader, described that the two colours characterised relationship and friendship. As for the word “future”, it was to teach a point about the type of friendships that we form today; our friendships will strongly affect our future, whether good or bad. Proverbs 17:17 A friend is always loyal, and a brother is born to help in time of need. This entry was posted in Events and tagged Bible, campus, Christianity, Christians, Church, devotional, fellowship, friendship, fun, games, God, lesson, proverbs, relationship, spirituality, teens, youth, youth group, Youth workshop. 14 February is Valentine’s Day. What better way to spend this day than to encourage the women of our congregation by celebrating Sisters Appreciation Day. The brothers handmade special cards, served tarts and cakes, played a funny singing game, and dedicated songs to the women. All the ladies had a fabulous time. Click on the picture below to view the photos of the Sisters Appreciation Day. This entry was posted in Events and tagged Christian, Christians, Church, Encouragement, God, Good News, Ipoh, Malaysia, religion, Sisters Appreciation Day, Special Event. 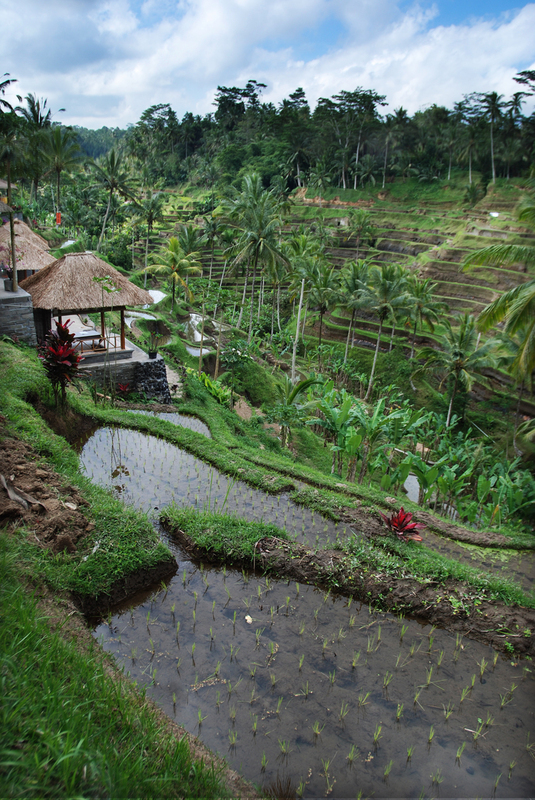 Ubud, natural paradise that is high up in the mountains of Bali. Tourists throng to this place every year for serenity, beauty, peace, and a little spirituality. Some come to her rivers for wild waters experience. Others just sit quietly as they meditate in her terraces of green paddy fields. Some others soak in her soft cultural music, dances, and activities that surround them. Others are busy buying beautifully crafted handiworks and delicate paintings. I too went to Ubud with my family this December holiday. On our way up there, we were caught in a traffic jam in the town area of Ubud. For a short 1 to 2 km, we took more than an hour to travel through the one lane traffic. The roads were congested with motorbikes, cars, bicycles, and people – all wanting to experience Ubud. In the jam, I was feeling frustrated, stressed, and a little impatient. I could not believe the amount of people and vehicles on this tiny road. Yet, in the midst of my frustration, I still pushed on cheerfully because I wanted to see Ubud. I was eager to experience all the culture and nature that she could offer. I wanted to see Ubud. Though I was uncomfortable, I chee rfully endured the momentary troubles of the heavy traffic I was in. Heaven is more beautiful than Ubud. One hundred times more glorious than Ubud. A thousand times more cultural than Ubud. A million times more natural than Ubud. I want to be in that heaven. On our way up there, to this wonderful place, there will be momentary troubles and traffic jams that we will have to face while on this earth. Just as I fixed my eyes on the unseen – the beauty of Ubud, I too need to fix my eyes on the unseen eternal glory that is waiting for me. My momentary troubles will come and go, but that destination, my final destination, heaven, will always be there waiting for me. This entry was posted in Devotionals & Articles and tagged Bali, Bible, Christians, Church, devotional, devotionals, Encouragement, Eternal glory, God, Good News, Gospel, heaven, HOPE, Ipoh, Malaysia, religion, Scripture, Ubud. We are really rejoicing in Ipoh to see these two women added to our church family. Belle and Sue Yi have deep convictions about following God. Both of them have put their hearts into studying God’s word over the past few months. It is such a joy to see them making their commitment to Christ in their baptism. This entry was posted in Baptisms and tagged Baptism, Bible, Christian, Christianity, Christians, Church, God, Gospel, Ipoh, Malaysia, religion, Salvation. This entry was posted in Conference n Retreats and tagged Bible, Christian, Christians, Church, God, Ipoh, Malaysia, religion, teens camp, youth fellowship, youth group, youth retreat. Malaysia Youth Retreat: Baptism! Nothing feels more special than watching one of the teens make Jesus the Lord of his life. Andrew Ling (16 years old) from Ipoh, on 6 December 2014, did just that. He has been studying the bible for about eight months. I appreciate Andrew. He is someone who has deep conviction about what he believes in. He knew when he first started studying the bible, that he was not yet willing to follow Christ as the Lord of his life. He was very open about his lack of belief. Yet, he was not deterred by it but was still very eager to investigate and to find out how to get the type of faith that he needed. In August this year, he came down to Singapore to attend the International Leadership Conference. This conference was attended by participants from all over the world. Through the fellowship, the lessons, and the lives of the disciples, Andrew was inspired that he can get the faith that he needs to be a disciple. After that, Andrew became even more eager to learn and within a few months, he made Jesus the Lord of his life. It was so special to watch him baptize in the river at Tanjung Malim during the Malaysia Youth Retreat this past weekend. This entry was posted in Baptisms and tagged Baptism, Bible, Christian, Christians, Church, God, Gospel, Ipoh, Malaysia, religion, Salvation, youth group.